Riding on an unbeaten knock of 62 from Parthajit Baisya, Bongaigaon District Sports Association boys has taken a much needed lead of 19 runs with five wickets remaining against Jorhat on the first day of the two day Quarter Final league match of Nuruddin Ahmed Senior Inter District Cricket Tournament at Mangaldai on Friday. 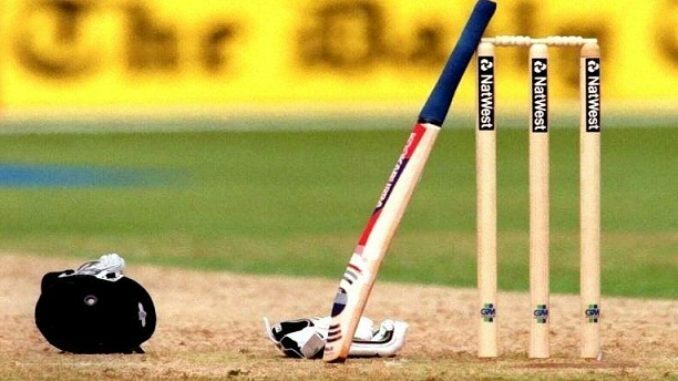 Batting first Jorhat District Sports Association boys could not perform satisfactorily against an accurate bowling attack of their opponents led by Pallab Das (3/27), Kon Orang (2/7) and Pritom Talukdar(2/16). The Jorhat team were bundled out in their first innings for 122 runs in 47.3 overs. In reply Bongaigaon scored 141 runs losing five wickets in 32 overs, thereby took a vital 19 runs when stumps were drawn today . It was Parthajit Baisya (62 no) and Sujay Tarafdar (30 no) who guided Bongaigaon to this total. Dayal Krishna Dutta (2/27) was the only Jorhat bowler who could create some trouble for the Bongaigaon batsmen.